Rooted in the hard bop idiom, Alter Ego is a no-nonsense band of seasoned musicians who know the routine; leave your ego at the door (by all means adopt your alter), set up, agree a set list, get ready to go…once you’ve got another beer in. A tasty slice of Dexter Gordon’s Cheese Cake went down well with Dave Hignett’s Stella Artois-sweetened, fleet-fingered flugelhorn indicating that we were in for a good ’un. Band members write material and first to offer something was pianist Andy Hawking; Red Blues followed by Scriabin Scraps. All very Russian, both introduced by the sextet’s budding stand up comedian, David Francis. 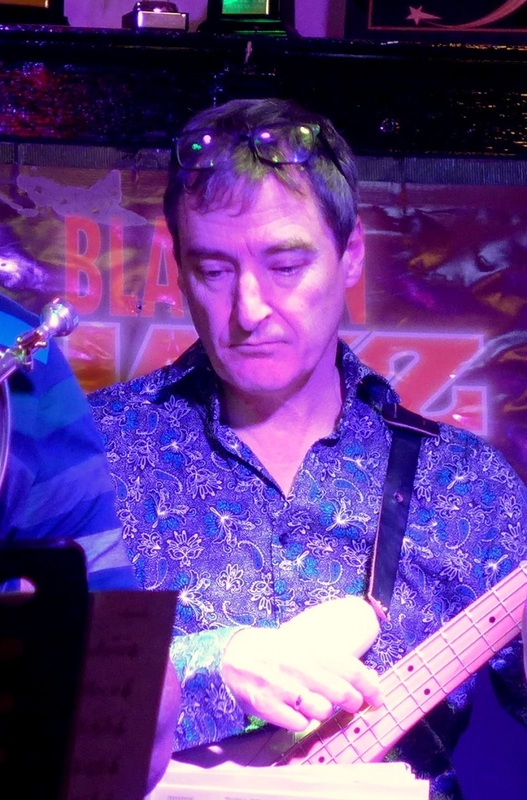 Suffice to say our amiable drummer won’t threaten the king of one-liners – Alan Barnes – any time soon! Niall Armstrong is another of the band’s composers. 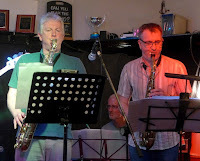 The tenor man’s Mustard Mash was added to the menu and Dave Hignett, again on flugelhorn, couldn’t resist double helpings! A Jay Chattaway chart – Hit and Run – has been in the pad a while and it sounds better and better on each hearing. Quasimodal – read into it what you will, the hunch is it’s more modal than Victor Hugo – is another from the pen of pianist Hawking and it, along with other band compositions, stood comparison with American bop charts. The snappily titled Word Association Football Blues (comp. 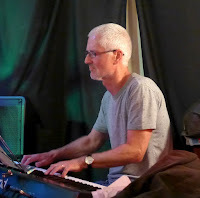 Niall Armstrong) served to emphasise the point closing an enjoyable first set featuring the tenor of its composer, the keyboards of Hawking and Hignett’s ever-impressive trumpet playing. The Alter Ego horns playing the opening vamp to The Perpetrator rounded up band members and stilled the audience as the second set got underway. 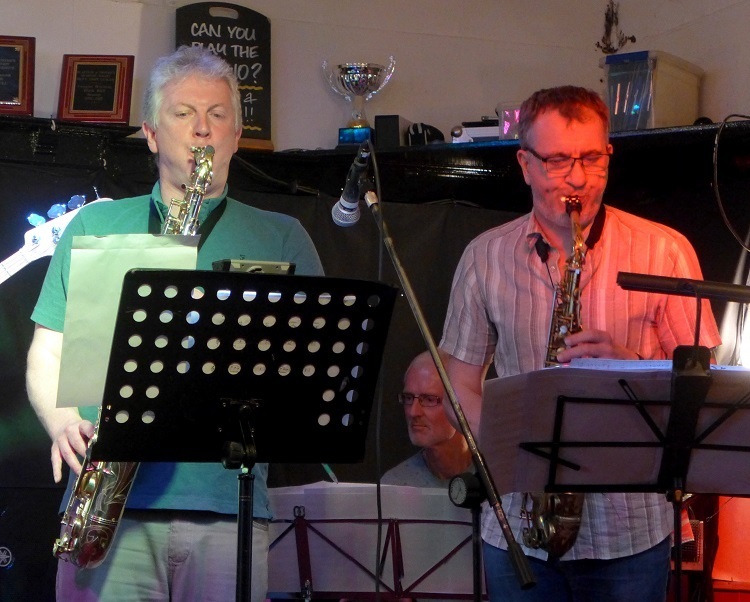 Keith Robinson’s Zippit featured the incisive alto sax of its composer, Undertone (comp N. Armstrong) opened with NA to the fore, and then we were treated to David Francis’ numerous attempts to pronounce the title of Tony Abell’s Llangranog Blues. What’s the problem, David?! Andy Hawking’s Bacon Sandwich didn’t pose any difficulties to DF. Niall Armstrong picked up his flute on this one as the others thought…red sauce or brown? To close the evening, a new tune by Hawking – How Low the Sun – was sandwiched between two established numbers; Armstrong’s Dog Leap Bounce (a local landmark reference) and former Jazz Messenger Bobby Watson’s intriguing Wheel Within a Wheel. 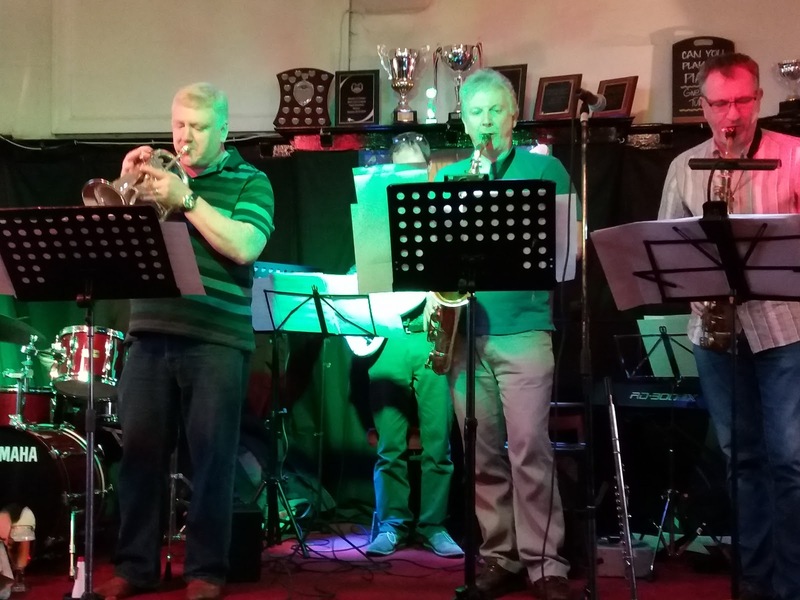 Alter Ego can be heard again at this year’s DJazz Durham City Jazz Festival (June 2). 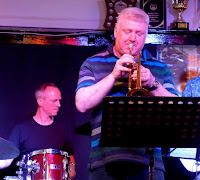 Blaydon Jazz Club’s June concert (Sunday 17th) presents two very fine guitarists, Mark Williams and Joel Byrne-McCullough. Highly recommended.